I couple of years ago I got in the habit of blogging about each conference I attended. It imposed some healthy discipline, forcing me to go over notes and reflect a bit on what I learned at plenary sessions, what I picked up at break-out sessions, and maybe what live music venue I found nearby. With this blog, I review my experiences at the Grantmakers for Effective Organizations (GEO) 2018 Conference. It was held in San Francisco, April 30-May 2nd. The conference was bursting at the seams, with 950 souls attending. Things were a little cramped at times, especially in break-out sessions. Here’s some observation from San Fran (actually heard that locals don’t want you calling it that). My conference experience kicked off with a pre-conference workshop that looked at the relationship between foundations and professional evaluation shops. While I’ve been a part of only a few grants that used outside evaluators, one of the presenters was an evaluator that I worked with a few years ago. You get a lot of “small world” moments at these conferences. The workshop looked at ways to make the foundation-outside evaluator relationship less transactional. What if you could imbed an evaluation professional on your grant review team — maybe a junior staffer on loan from an evaluation firm? What could be part of an apprenticeship-like experience for the evaluator, could give the foundation insights into program evaluation. A break-out session on the first day looked at how the ways that foundations operate can have a direct bearing on the quality of the relationship with grantees and the impact of grants. I’ll give one example. If you want to send grantees and potential grantees the message that you are open to risk, consider a plan for contingency funds that could be used if a tricky implementation gets stalled, or project work plans need an overhaul. And share these plans with the grantee. The session introduced me to a couple of good resources from the Open Road Alliance (https://openroadalliance.org) related to living with risk: a Risk Management Toolkit and Roadblock Analysis Report. A break-out session on Day Two explored similar themes, particularly ways to embed learning in the way you do your work. A Day Two session on incorporating beneficiary voice in decision making made the case that service providers should regularly solicit feedback from their constituents. Does anyone really need persuading on this? Speakers referenced the Listen for Good initiative and its standardized survey protocols developed for both funders and nonprofits to use. A plenary session on Day Two featured a conversation with Nikole Hannah-Jones, a journalist who writes extensively about education and against the segregation that has crept back into our public schools. She spoke at length about her NY Times Magazine article that chronicled she and her husband’s decision to place their daughter in an urban public school. A breakfast plenary on the final day brought together non-profits and foundations working on the housing shortage in the bay area of Northern California. The crisis has spawned the creation of a number of grassroot, activist organizations to tackle the problem, particularly as it affects low-income and minority populations. The staff from these organizations are prone to being poached by foundations that come to value skillsets that include creative problem-solving and an affinity for working on the street. Leveraging the strength of networks was the subject of a late conference session that looked at efforts to strengthen networks that promoted rural health outcomes in North Carolina. I learned that there is a “mother of network science.” It’s June Holley and you can reach her — and several affiliated network consultants — via http://www.networkweaver.com. I do try to geek out over something in my spare time. This time, it was Eucalyptus trees in Golden Gate Park, for one. The naturalist John Muir is responsible for their presence in California, importing them from Australia. The park is home to 21 species of these majestic things! 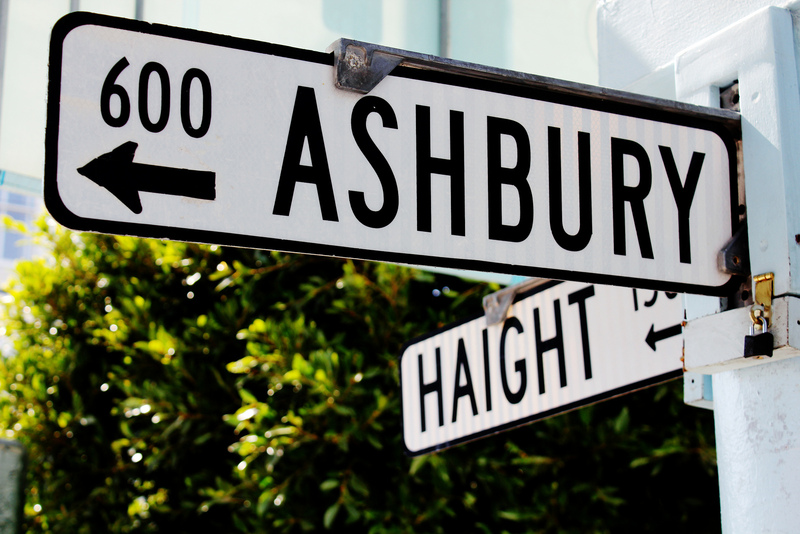 I didn’t stay in the conference hotel, but rented a space in the Haight-Ashbury neighborhood — near the park — where I checked out record stores and steampunk fashion accessories.